More people celebrate their dogs’ birthdays than you might imagine. Most dog owners see their pets as part of the family and like furry equivalents of children, so putting on a party for them is no different than doing it for their human children. Hosting a party for your pup is a great excuse to shower them with affection and gifts, treat them to the company of other pets, give them treats and show them how much you love them. Your dog’s birthday is also a great time to get friends and family members around and capture the imagination of children, who can choose gifts, make decorations and arrange refreshments. Sometimes our dogs don’t receive the attention they need, especially when we consider how busy our work lives make us. We can offset this by devoting a whole day to them where they can be the centre of attention and give them all the affection that they need. Their birthday is an ideal time to share your love for your dog with others. When it comes to planning your dog’s party, there are several steps that you should take. Firstly, you should draw up a guest list and decide who you want to invite. Will you be inviting other dogs and their owners? Perhaps you’ll be inviting your children’s friends? Where will the party take place? Will you be holding it at home or in a park where they’ll have plenty of space to run around? You could take a picnic with you as well as an array of doggy treats. What kind of entertainment will you put on? Will you opt for animal-themed entertainment party games? Obstacle courses for your dog can be a fun idea. You may even wish to play hide and seek with your dog or play “Simon Says”, opt for zoo themes or enlist dog and animal-themed dancers. You can even add a birthday cake to proceedings, just like you would on a human’s birthday. There are many recipe ideas for dog-friendly birthday cakes to take advantage of. You may well wish to opt for a bone-shaped cake and use ingredients like non-bleached flour. Party planning expert advice as well as animal-themed entertainment is available from the Corporate Entertainment Professionals. Ideas for refreshments might include dog beer (Bowser Beer), food for humans served in dog bowls, dog-themed snacks for humans and an array of treats for your pet, your guests and yourself. Of course, no great party is complete without decorations. You could decorate your house with various dog toys and leads, bowls and blankets if you are holding your dog party indoors. Make sure there’s enough water available for your dog – or dogs – as chances are they will be spending a great deal of time running round and can become dehydrated very quickly. There are many party planning services that can help you put on an unforgettable party for your dog if you don’t feel confident enough to go it alone. A birthday party for a dog can provide your pet, your guests, your children and yourself with a magical day that you’ll be able to cherish forever. Just remember to take photographs or videos so that you can relive the occasion time and time again! 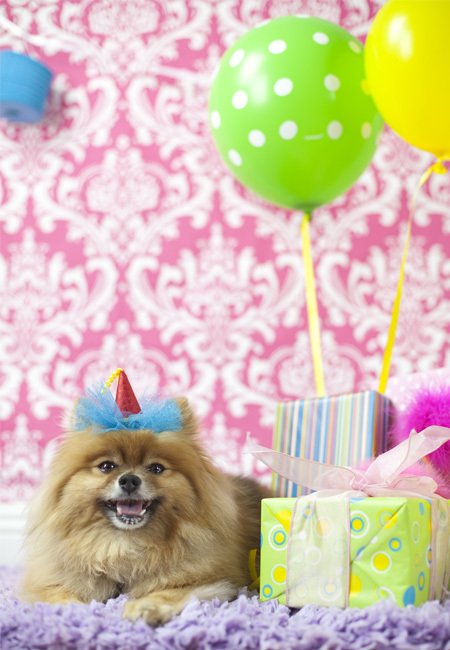 More people celebrate their dogs’ birthdays than you might imagine. Most dog owners see their pets as part of the family and like furry equivalents of children, so putting on a party for them is no different than doing it for their human children.